Encephalon comes to town... and you can win a CD! 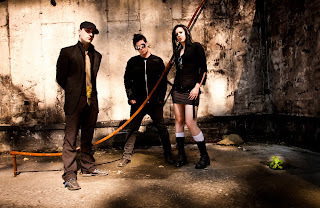 Our regular readers will remember we did a little article on a band called Encephalon who had a song in the horror film Necromentia. The band has just released it's latest full CD "The Transhuman Condition", available at Storming the Base or on iTunes, and Artoffact Records has given us three, yes THREE copies of the CD and Poster to give away. I've got to say, I'm personally digging this album. Imagine Skinny Puppy having a three way with Depeche Mode and Ministry, and you'll get pretty close to the sound the band creates. This time out, vocalist Matt Gifford eschews the more distorted, processed sound he's had on past releases (like "The Claw") and shows himself to be a very capable singer. Horror directors and producers take note... these guys would go great on your soundtrack! So here's how we're going to do it. First three people to email contest@ottawahorror.com with the subject line "I want an Encephalon CD" will win... how easy is THAT! AND... just to make life better, the band will be playing tomorrow Tues. Dec. 6th at the one and only Zaphod Beeblebrox, so if you're in the area, drop in, say Hi (I'll be the one in the OH shirt) and listen to some very cool music. You can find out more about Encephalon at their web site, or on Facebook. 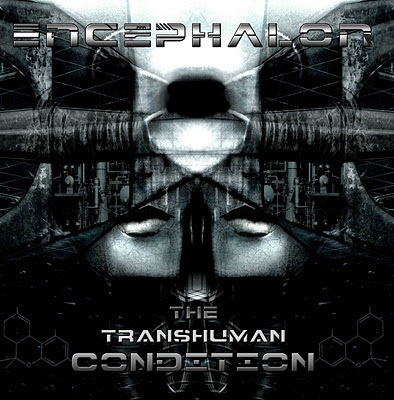 Encephalon - The Transhuman Condition from Matt Ghostorm on Vimeo. And Congrats to our Winners... Tracey, Dan and Joe. We'll contact you shortly to get the CD's to you.